I was making sandwiches for dinner last night and decided that I wanted to do pasta salad to compliment them. Originally I was going to do my spicy pasta salad (recipe available on the site), but then I decided that I really didn’t want to do something mayo based, I wanted something lighter and fresher… Then I remember a pasta salad I used to make regularly a handful of years back that was packed with flavor but didn’t weigh you down as much. So here you have it, my recipe for a moderately light and healthy Italian Pasta Salad. It can served warm or chilled as a side, or the meal itself. I hope you enjoy! If you plan on serving this salad chilled I recommend making it at least 90 minutes in advance. It really doesn’t get much easier than this… the hardest part is the prep and that’s not even hard. Boil off your pasta in salted water for the time specified on the packaging. Once strained simply combine it in a large bowl with the remainder of the ingredients and mix well to evenly distribute the oil, seasoning and cheese. Serve it warm on the spot or put it in the fridge and serve later, you can’t go wrong either way. 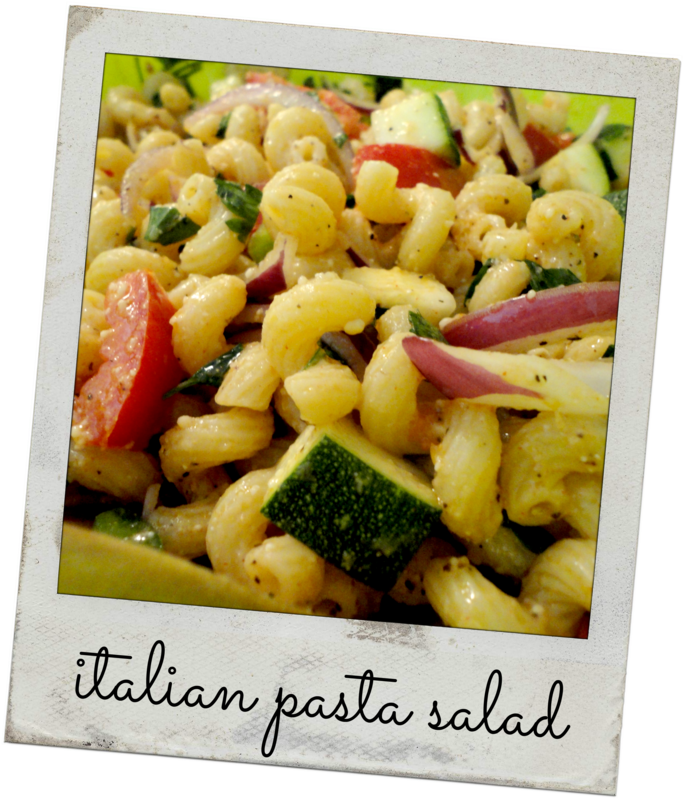 Tags: healthy cooking, italian pasta salad, pasta salad, perfect pairings, perfect pairings at home, sides, summer, vegetarian. Bookmark the permalink. I’m totally making this. Maybe tonight.